Neutral and patterned, this Utopia Duvet from Dot & Bo is the perfect complement for your beautiful Danish wood pieces and colorful accents. 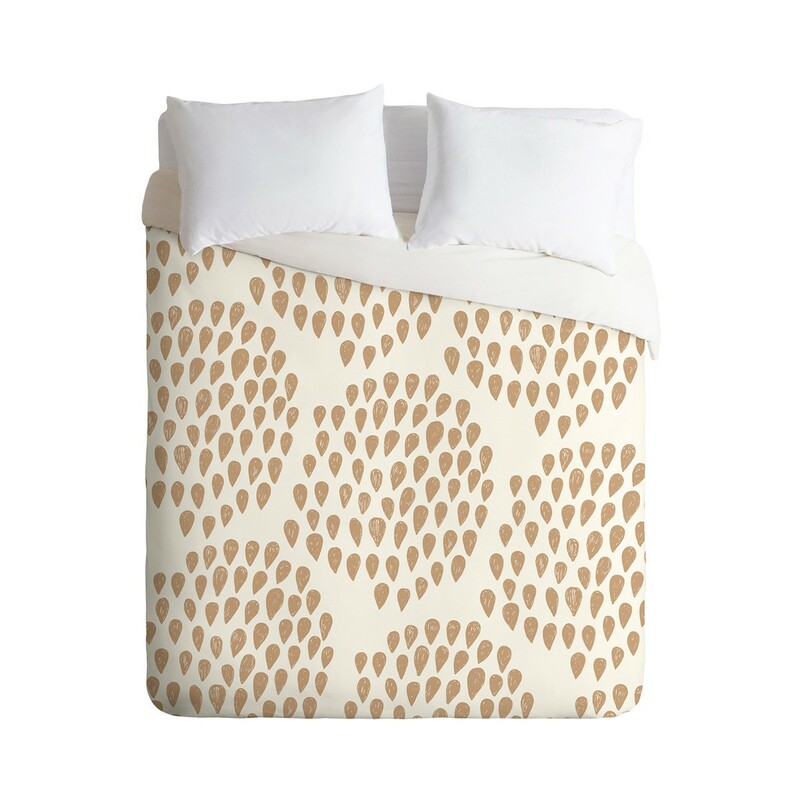 All that glitters is gold with the Diamond Stripe Sheet Set from West Elm. 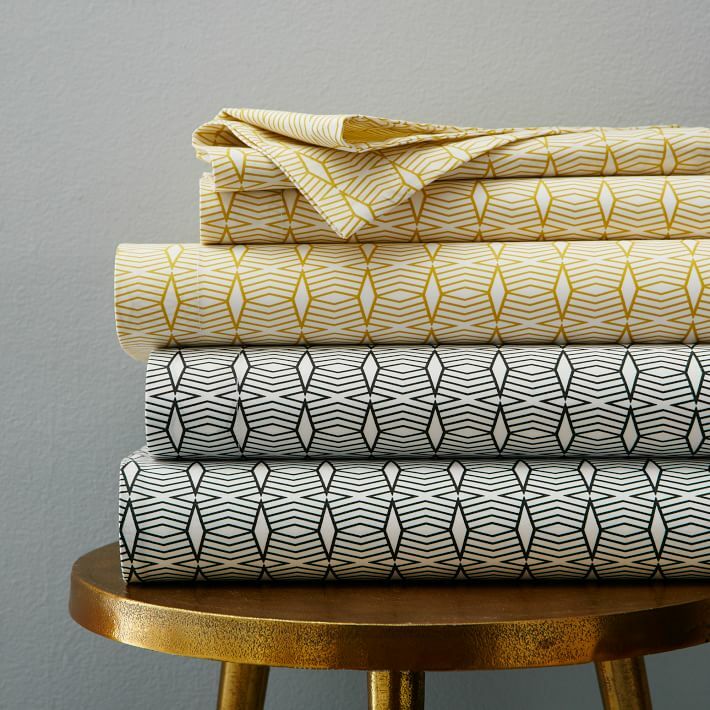 These retro linens give you all that midcentury funk with just a small, unobtrusive pattern. 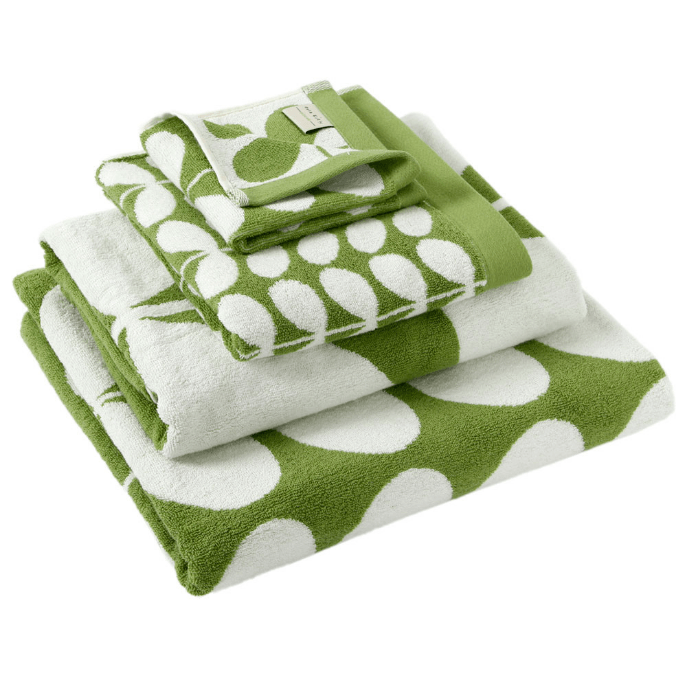 A classic design in a classic color, the Stem Jacquard Towel in Apple will add that perfect finishing touch to the pink tiles in your bathroom. Love that retro kitchen vibe? 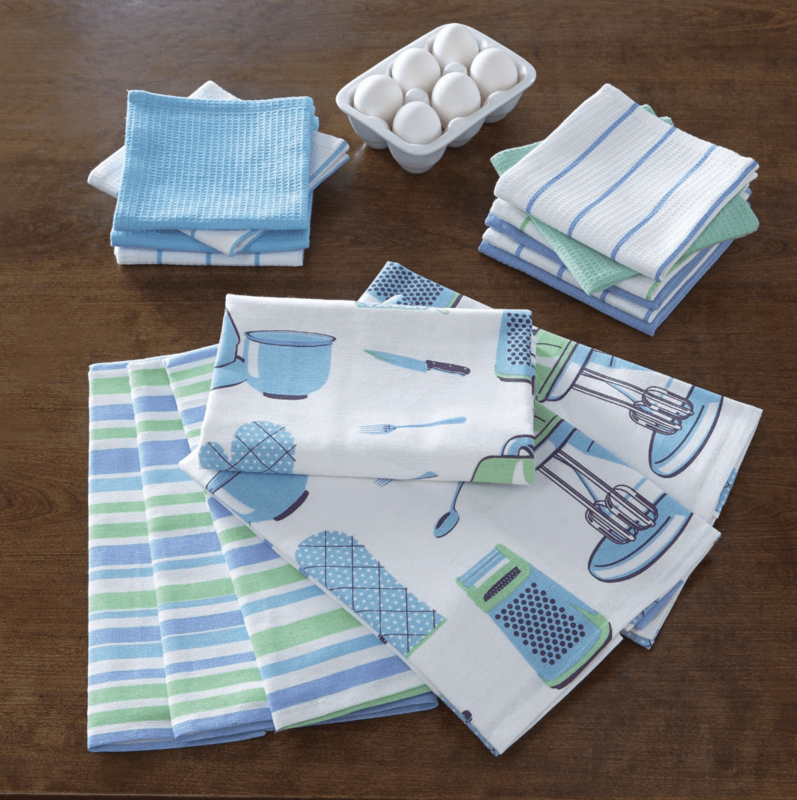 Keep your towels funky fresh with this 16-Piece Retro Towel set, complete with kitschy designs and fab muted colors. 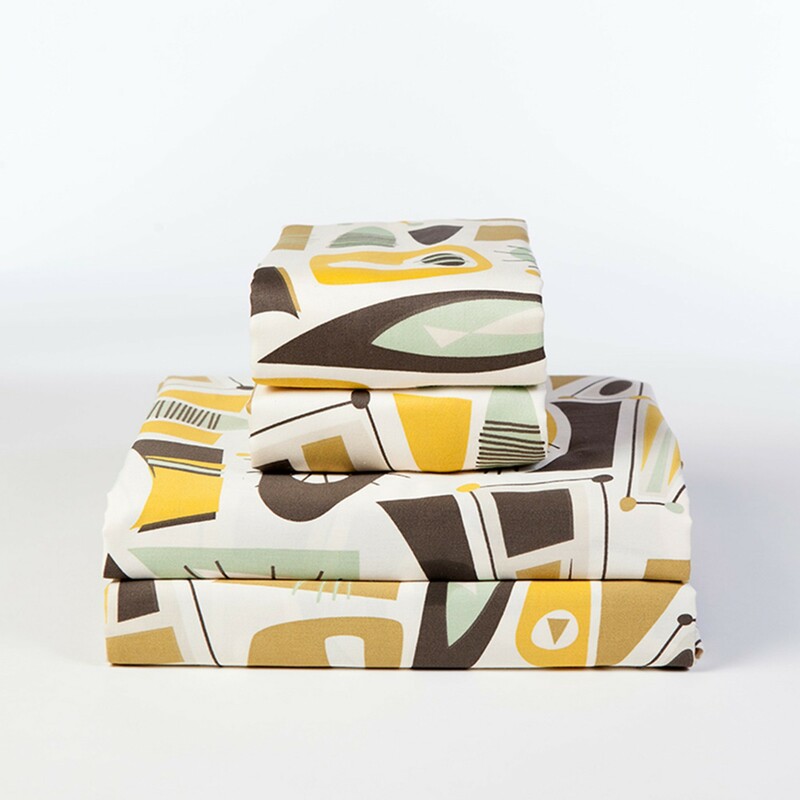 Finally, no collection of retro linens would be complete without a tablecloth worthy of a midcentury diner. 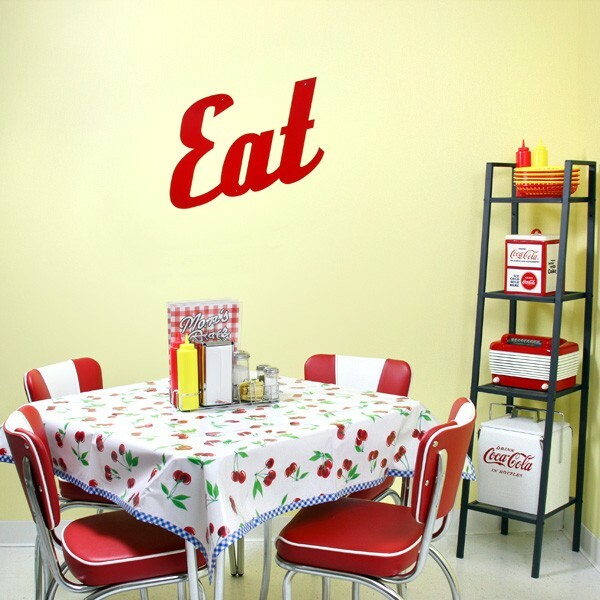 Keep it cute and country with this Cherry Oilcloth Tablecloth from Retro Planet!